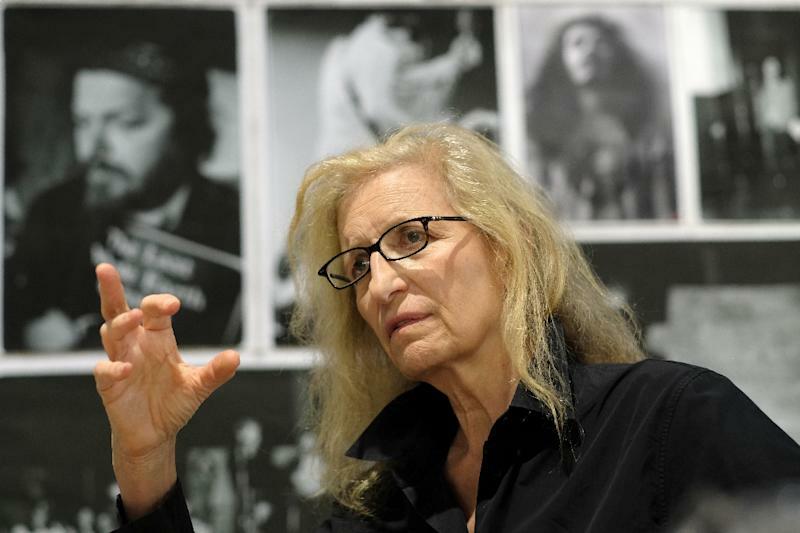 Paris (AFP) - Emmanuel Macron is being tailed this week by US celebrity photographer Annie Leibovitz, his office said Wednesday, as the French president pursues a tightly controlled media strategy criticised by some journalists. Leibovitz, who has photographed everyone from John Lennon to the Obama family, arrived at the Elysee Palace Tuesday to start snapping the president for Vanity Fair magazine. "It's the first time since the start of his term that the Elysee has let a photographer in like this, except for the official photographer," said an Elysee source. "We have accepted this project for Vanity Fair US because she is an artist renowned for her photographic work," the source said, confirming a report by Le Monde newspaper. The photoshoot is the latest carefully chosen media appearance by the 40-year-old president, who has made no secret of his desire to keep the press at arms length. His gossip-loving predecessor Francois Hollande regularly chatted to reporters off-the-record and was ultimately damaged by a tell-all book, "A President Shouldn't Say That". Having courted the press while economy minister and a candidate, leading him to appear repeatedly in celebrity magazines, Macron has changed tack while in office. He has given few interviews and is set to kick political reporters out of the palace in the coming months, down the street to a new room where they will no longer be able to see who is coming and going. The Leibovitz photoshoot comes after Macron wrapped up a visit to India on Monday which included a trip to the Taj Mahal with his wife Brigitte which he described as "private" but which was covered by handpicked photographers and journalists. Leibovitz followed Macron for two hours on Tuesday as well as at a cabinet meeting Wednesday, and is set to accompany him on a trip to Indre-et-Loire in western France on Thursday. She will also tail him at a book fair and likely during Friday's visit to Paris by Germany's Chancellor Angela Merkel, the Elysee source said. Leibovitz, 68, has worked at the French presidential palace before -- photographing Carla Bruni, the model and singer married to then president Nicolas Sarkozy, on its roof in 2008.